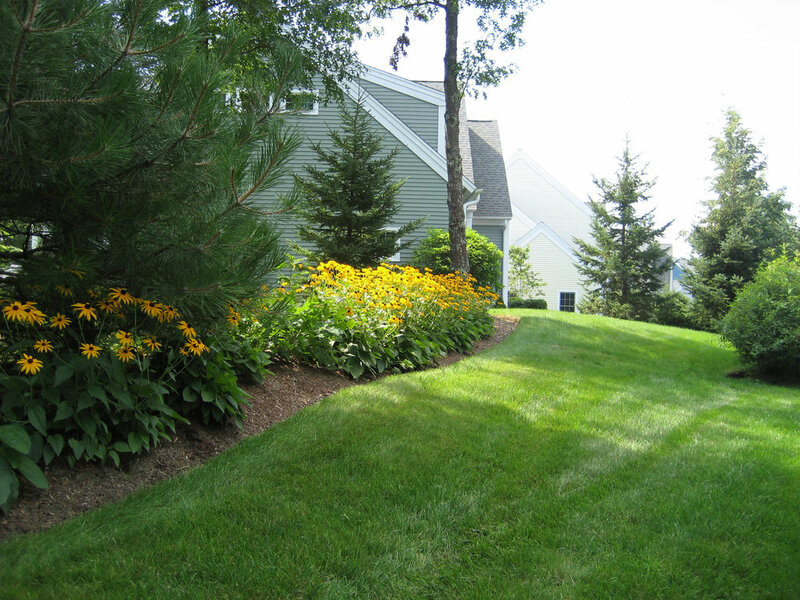 The Pinehills is a hilltop cluster of homes designed as a “smart growth” community. 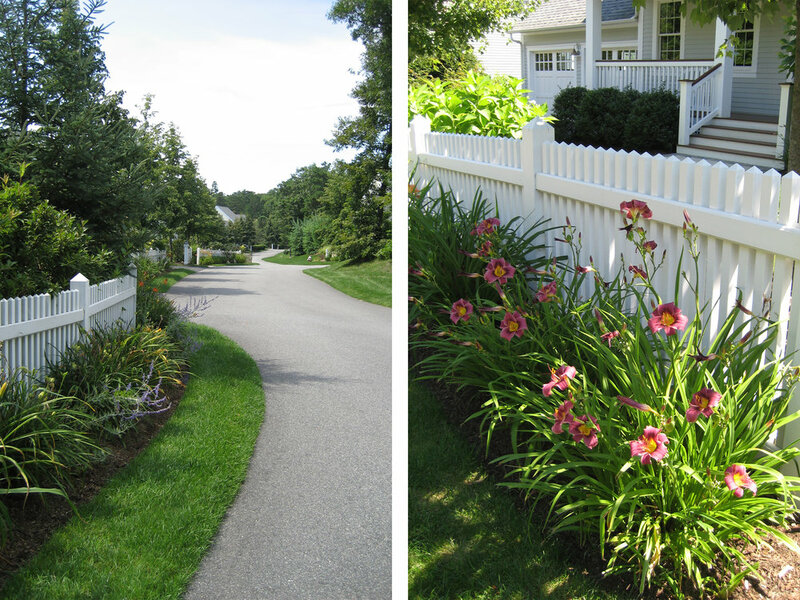 Ryan Associates defined the front gardens with picket fences and hedges that create continuity along the street. Walkways and flowers welcome visitors, providing a compliment to the dynamic ecology of this landscape that is evident in the views beyond. The rear yards are also individually and carefully designed as the ideal foreground to the expansive panoramic views.